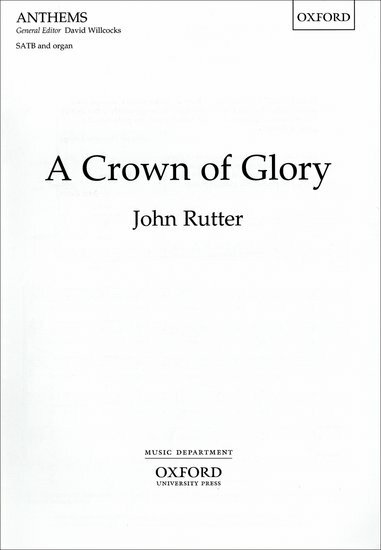 John Rutter's compositional career has embraced both large and small-scale choral works, orchestral and instrumental pieces, a piano concerto, two children's operas, music for television, and specialist writing for such groups as the Philip Jones Brass Ensemble and the King's Singers. His most recent larger choral works, Requiem (1985), Magnificat (1990) and Psalmfest (1993) have been performed many times in Britain, North America, and a growing number of other countries. He co-edited four volumes in the Carols for Choirs series with Sir David Willcocks, and, more recently, has edited the first two volumes in the new Oxford Choral Classics series, Opera Choruses (1995) and European Sacred Music (1996). 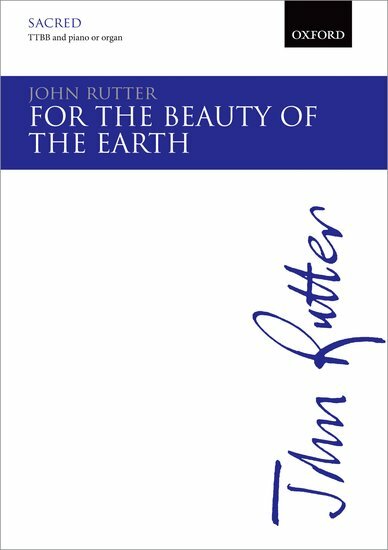 This collection of nine of John Rutter's finest and most popular anthems, scored for SA Men, has been carefully compiled to be both accessible to a wide range of choirs and appropriate to the needs of today's liturgy. With the inclusion of so many 'classics' covering a variety of texts and styles, this anthology is ideal for working church choirs requiring flexible options. Accompanied and unaccompanied. 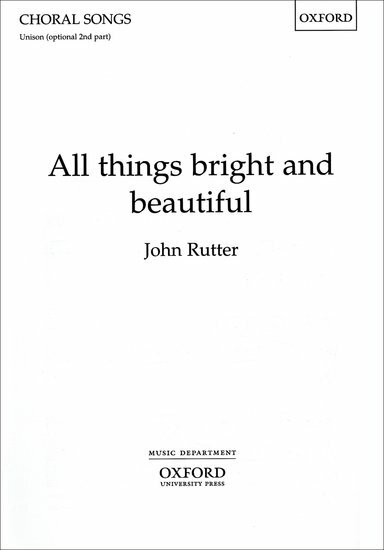 A collection of John Rutter's anthems, featuring eleven of his best compositions. These selections have been carefully chosen to reflect the breadth and beauty of Rutter's sacred choral music making this collection an invaluable addition to any music library. This choral collection includes settings of children's poems and nursery rhymes for SATB unaccompanied - with some divisi. 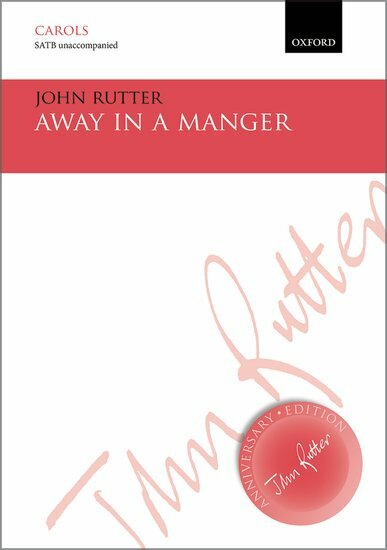 Full of joy and tenderness, John Rutter's carols illuminate and celebrate the Christmas story in works of great imagination and variety. This selection of his most popular carols forms an essential collection for all choirs. Includes 10 SATB carols, accompanied and unaccompanied. Birthday Madrigals was written at the invitation of Brian Kay, conductor of the Cheltenham Bach Choir, to celebrate the seventy-fifth birthday of the great jazz pianist George Shearing. The first performance was given, in his presence, in Cheltenham Town Hall on June 3, 1995 by the Cheltenham Bach Choir with Neil Swainson (double bass), John Rutter conducting. 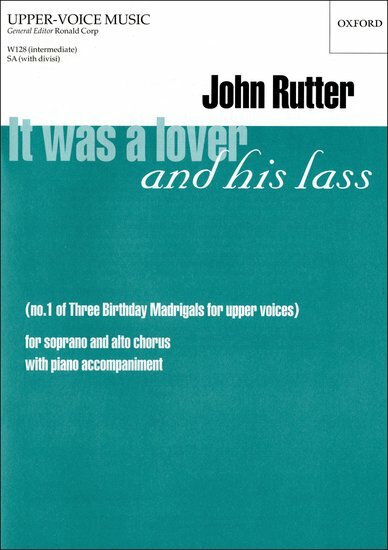 The seed of the composition was 'It was a lover and his lass,' witten in 1975. The other four movements, their texts also drawn from the madrigal era (hence the work's title), were added in 1995 to make the present choral suite. Featured on the Cambridge Singers' album of the same name, 'Fancies' is an exquisite cycle of choral settings for mixed voices and small orchestra. In this collection we have a cycle of choral settings with words by Campion, Shakespeare, and anon. for SATB (with tenor solo) and small orchestra. In this choral collection we have five settings of traditional songs, arranged by John Rutter for SATBB unaccompanied voices. 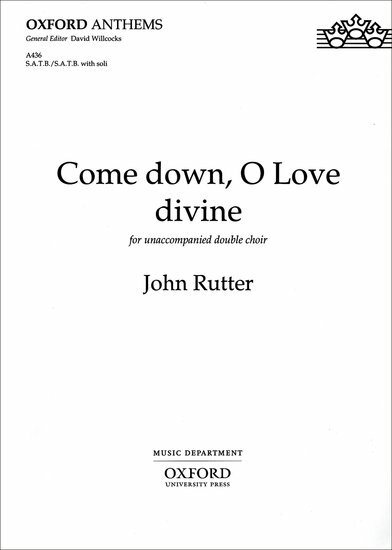 Composed by John Rutter, this vocal score for mixed voices and piano is a brilliant choral piece that your singers and audience members will love. The score comes with choral notation and piano reduction, the text language is Latin, with a total of 44 pages. 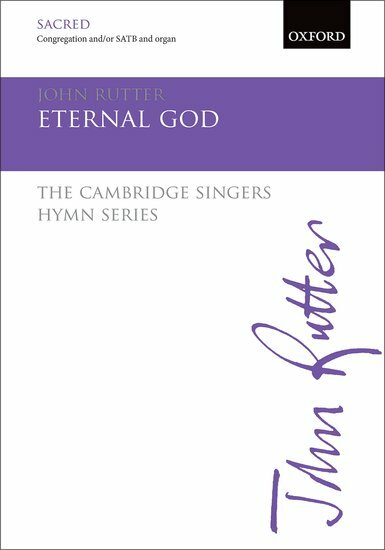 This excellent choral collection by John Rutter is written for mixed voices and keybord. The nine movements form a single choral work comprising seven pieces previously published separately and two new movements. A broad range of emotions all find their place with rich and varied musical settings. It features solos for soprano and tenor soloists - an excellent addition to your sacred choral program! Featured on the Cambridge Singers' album of the same name, 'The Sprig of Thyme' is a beautiful cycle of folk-song settings, each setting giving plenty of opportunity for different voices in your choir the opportunity to shine! 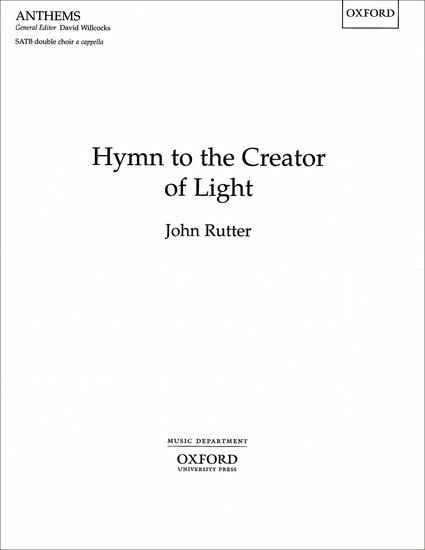 This collection of familiar spirituals arranged by John Rutter is beautifully set for mezzo-soprano solo and mixed choir. Each selection can be performed alone, or the collection can be performed as a whole to showcase the rich heritage of the spiritual. Oxford Choral Classics: English Church Music assembles in two volumes around 100 of the finest examples of English sacred choral music. The second volume presents a wealth of service material suitable for use throughout the year. The evening canticles are given due space, with seventeen settings, including those by Byrd, Gibbons, Purcell, Walmisley, Stanford, Noble, Howells, Walton, and Tippett. Also included are settings of the Te Deum and Jubilate Deo, alongside seven settings of the Preces and Responses and two additional early Lord's Prayers. The selection is completed with three supplementary items: a set of previously unpublished Psalm chants by Howells, John Sanders's Good Friday Reproaches, and a written-out Order for Compline. Robert King has prepared completely new editions of all the pre-twentieth-century works, going back to the earliest and most reliable manuscripts or printed sources. Playable keyboard reductions have been added for the majority of unaccompanied items. 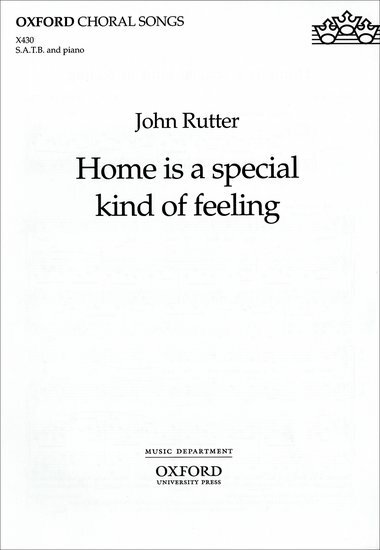 Editied by John Rutter these songs come from the British Isles and North America, ranging widely in regional origin and character. 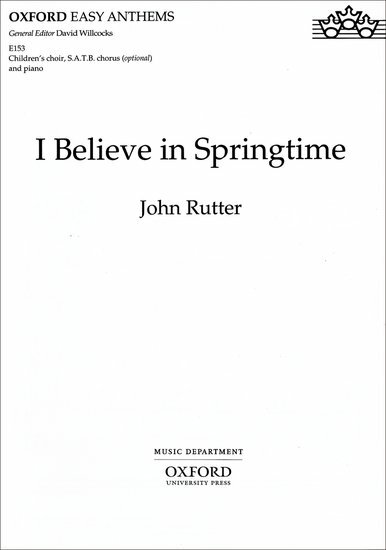 Edited by John Rutter all these songs come from the British Isles. This songbook is part of the Oxford Choral Classics series and gathers in one volume sixteen of the finest motets and related pieces for the season of Christmas. The collection gives due space to the magnificant works of the Renaissance period, with well-known motets such as Victoria's O magnum mysterium and Sweeelink's Hodie Chritus natus est placed alongside works by Byrd, Palestrina and Mouton. There are also works from later peiods, including Bruckner's Virga Jesse, an estatic motet in praise of Christ's birth, and Cui's fervant and sonorous setting of the Magnificat. As such, the collection is an outstanding and richly varied survey of the repertoire, and provides a superb choice of pieces for all choirs seeking a broad selection of music for this season. The Oxford Choral Classics gathers together over three hundred of the world's choral masterpieces into a unique series of seven volumes that span the whole of Western choral literature. Each volume contains all of the established classics of its genre under a single cover, in authoritative new editions and at a budget price. European Sacred Music is the second volume in the series and a fabulous value for money. 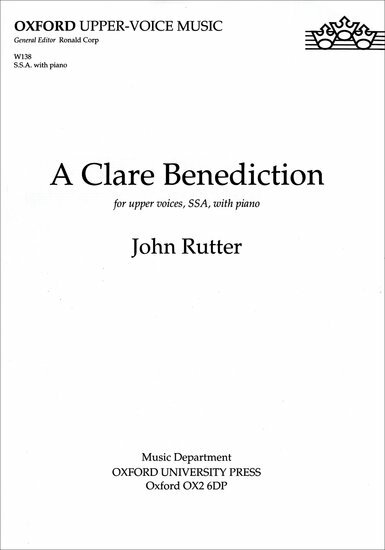 From the Allegri Misereri to the Victora O vos omnes, John Rutter and co-editor Clifford Bartlett have researched the best available sources and provided excellent new English singing translations and sensible, practical keyboard reductions. The Oxford Choral Classics series gathers together over three hundred of the world's choral masterpieces into a unique series of seven volumes. Each volume contains all of the established classics of its genre under a single cover, in authoritative new editions, at a budget price. Opera Choruses is the first volume in the series. Audiences will love these classic choruses, skillfully arranged as separate concert works and available for the first time together. 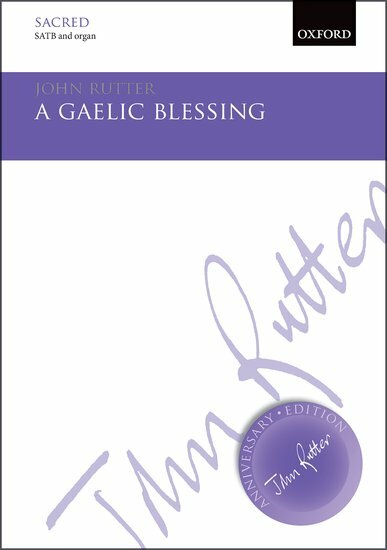 Rutter has researched the best available sources and provided excellent English singing translations, as well as sensible and practical new keyboard reductions for rehearsal accompanists. This is a selection of the best-loved carols and hymns for Advent, Christmas, Epiphany, and Easter: 74 of the most popular titles from Carols for Choirs 1, 2 and 3, plus 26 titles new to the series. There are carols suitable for both sacred and secular occasions, and both accompanied and unaccompanied material. The Order of Service for a Festival of Nine Lessons and Carols is included. Displaying 1-50 of 99 items. 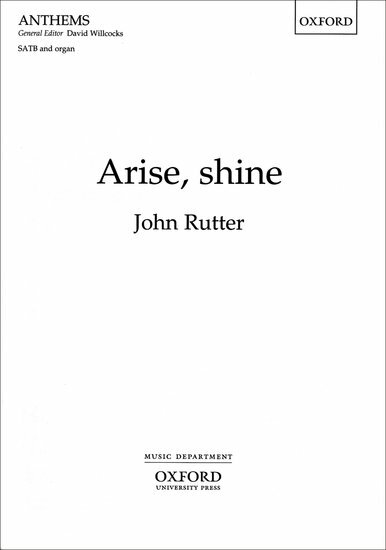 An easy anthem with words and music by John Rutter. There are four different versions of the vocal parts: unison (or two-part) with keyboard, upper voices with keyboard, SA and Men with piano or SATB unaccompanied or with keyboard. 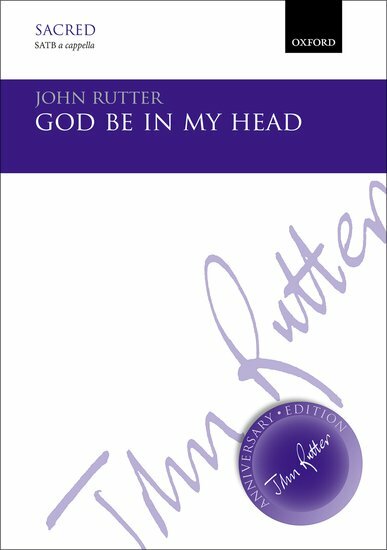 An easy anthem with words and music by John Rutter. There are four different versions of the vocal parts - unison (or two-part) with keyboard, upper voices with keyboard, SA and Men with piano or SATB unaccompanied or with keyboard. 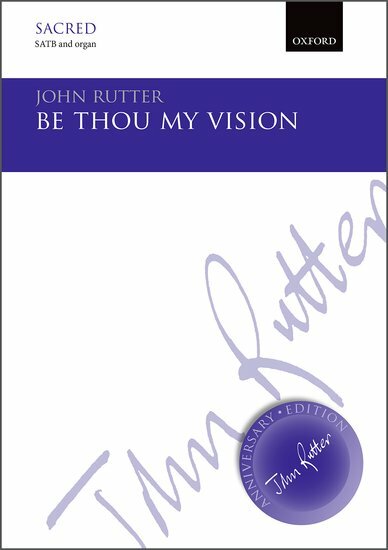 An easy anthem with words and music by John Rutter. There are four different versions of the vocal parts - unison (or two-part) with keyboard, upper voices with keyboard, SA and Men with piano, or SATB unaccompanied or with keyboard. Commissioned by Chorus America, A Dedication and an Amen is a flexible work designed for use in a variety of contexts. 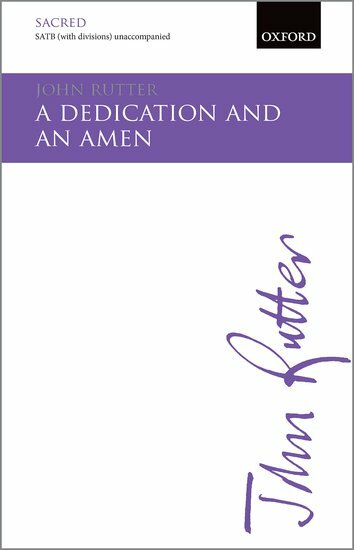 Featuring a secular Dedication and an optional Amen, it can be adapted to suit worship services as well as ceremonies where a religious text may not be considered appropriate. 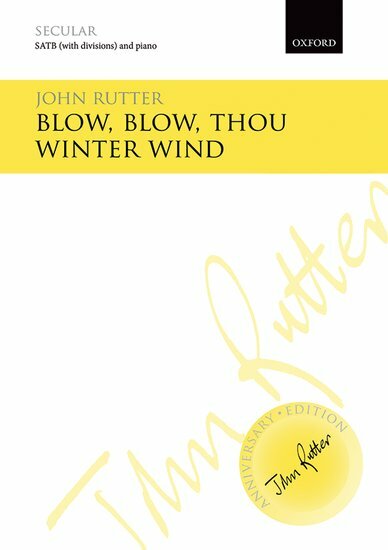 This tender piece will appeal to all fans of John Rutter's music. Composed for Harmony for Japan and in memory of the victims of Fukushima, March 2011, it is both reflective and heartfelt. 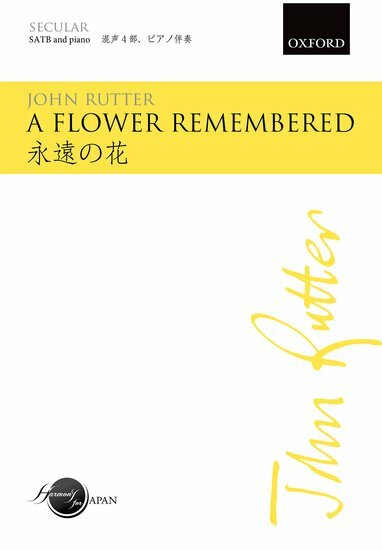 With a simple, appealing melody, rich harmonies, and a flowing accompaniment, A flower remembered is sure to become a firm favourite with all choirs. This is a dual-language publication, allowing for performance in both Japanese and English. Originally published in a version for SATB, this tender piece will appeal to all fans of John Rutter's music. Composed in memory of the victims of Fukushima, March 2011, it is both reflective and heartfelt. 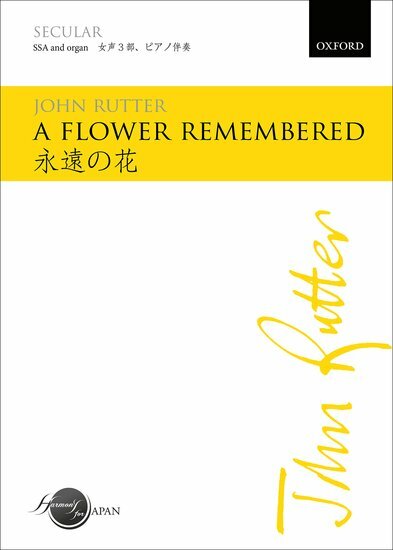 With a simple, appealing melody, rich harmonies, and a flowing accompaniment, A flower remembered is sure to become a firm favourite with all choirs. This is a dual language publication allowing for performance in both Japanese and English, and is also available for SATB. John Rutter's enduringly popular Gaelic Blessing is presented here with commentary and performance hints from the composer. Rutter's setting of William Sharp's uplifting words is serene, tender, and beautiful in its simplicity. John Rutter's enduringly popular setting of William Sharp's uplifting words is serene, tender, and beautiful in its simplicity. This short, eloquent Benediction sets words from St Patrick's Breastplate (5th century). This classic Rutter anthem, with its familiar words, optimistic feel, and characterful orchestral accompaniment, is essential repertoire for any choir. Orchestral material is available on sale and on hire/rental. 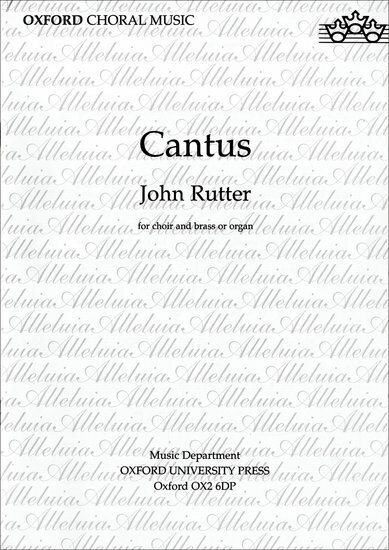 Also available in John Rutter Anthems and in a version for upper voices. Unison (with optional second part) voices with piano or orchestra. The beautiful melody, popular words, and flowing accompaniment combine here to memorable effect. 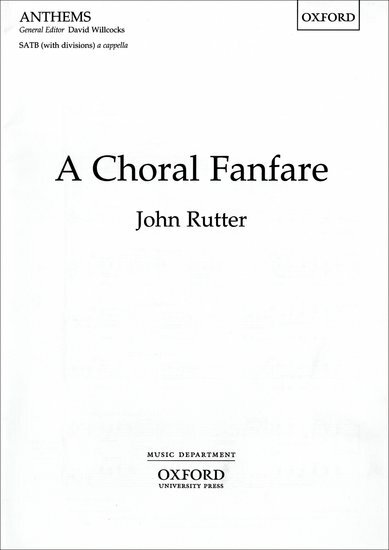 Vintage Rutter, and essential repertoire for any upper-voice choir. There is also a version of this setting for SATB voices. This is a glorious and luminescent setting of verses from Isaiah 60. 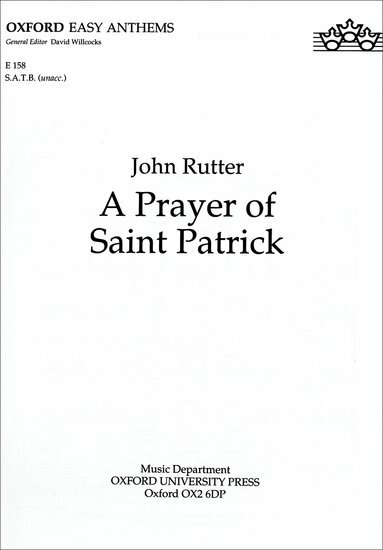 Rutter captures perfectly the essence of the text, the music moving through bold determination to quiet reflection before coming to a rousing conclusion. A tender and lovely setting which is easy to sing. Particularly appropriate for weddings. This gentle setting has all the tranquillity and grace associated with this ancient text. It is fashioned from a simple rocking theme, which weaves serenely through different keys as the piece unfolds, culminating in a descending chain of overlapping phrases before the final hushed and reverent cadence. John Rutter's tender and poignant arrangement of W. J. Kirkpatrick's much-loved carol is available here for the first time as an octavo. The familiar melody is taken first by the sopranos and then by the male voices, underpinned by a rich cushion of humming from the other sections of the choir, before the voices join together for the final verse in glorious harmony. This show-stopping fughetta is part of John Rutter's 'musical fable' The Reluctant Dragon. In this setting of haunting simplicity, Rutter employs rich orchestral colours and a beautiful, imploring melody. The composer has taken the opportunity of this anniversary edition to recast the original accompaniment for organ, to facilitate performance in church. 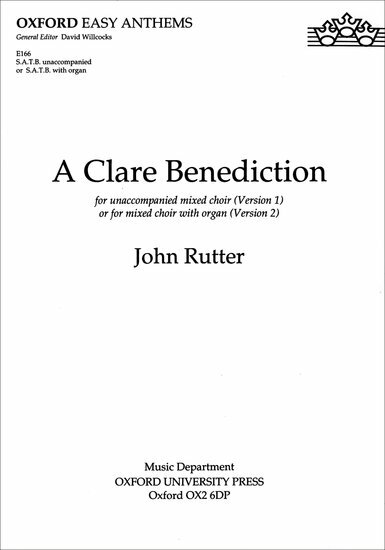 An unusual and dramatic anthem for SATB choir (with divisions) unaccompanied. The English verses, starting 'O sing unto the Lord a new song are framed by the Latin first line 'Cantate Domino canticum novum'. The words and plainsong melody of the Veni Creator Spiritus make an unexpected and effective entry towards the end of the anthem. 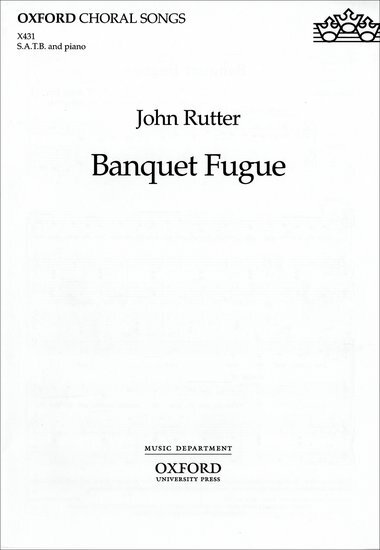 It is also included in Rutter's Psalmfest. 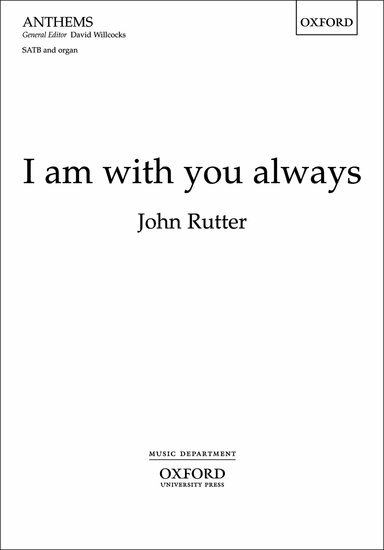 This original anthem with words and music by John Rutter is warm and tender. The musical setting is simple, drawing attention to the text, which as the title suggests gives thanks to God. This makes the anthem particularly suited to Harvest and Thanksgiving services. An anthem or short choral work for mixed choir (with optional solo soprano) and organ or brass ensemble (3 trumpets, 3 trombones, tuba). The solo soprano line may be played on the organ or trumpet. The solo trumpet can be either part of, or additional to, the brass ensemble. A setting of the single word 'Alleluia' with music which evokes a heightened, joyful tranquillity. John Rutter's original setting of this popular Easter hymn is resplendent and celebratory, with frequent metre changes that give a fresh feel to these historic words. A powerful and moving setting. 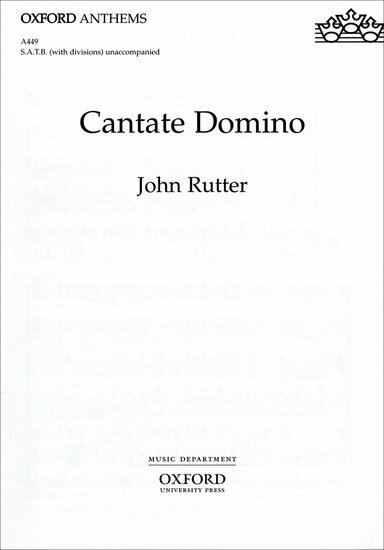 Rutter composed this elegant setting of the Evensong canticle Nunc Dimittis in homage to and in the style of composer Sir Charles Villiers Stanford, whose own Magnificat and Nunc Dimittis settings are staples of the English sacred choral repertoire. This prayer for freedom was composed in 1990, in response to the demolition of the Berlin Wall and the release of Nelson Mandela from prison. An orchestral accompaniment is available on hire/rental, and a version of the piece for orchestra only is available on hire. 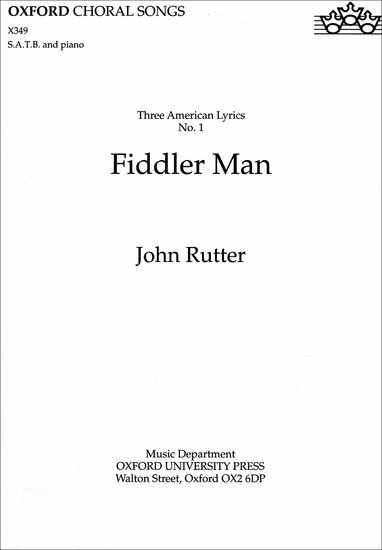 John Rutter's lively arrangement of this barnstorming American folk-song builds up from a quiet opening to a triumphant conclusion, with a characterful orchestration that can only give rise to a rousing performance. This original hymn is touching and lyrical, with unison first and second verses blossoming into four-part writing in the third verse. It may be performed as either a congregational hymn (a congregation part is included), or as a choir anthem. Originally published in versions for SA and SATB voices, this classic Rutter anthem has now been adapted by the composer for performance by male-voice choirs. The flowing choral melodies perfectly complement the positive message of the well-known thanksgiving text by F. S. Pierpoint, and the gentle, arpeggiated keyboard part provides a supportive harmonic accompaniment. In this classic Rutter anthem the flowing choral melodies perfectly complement the positive message of the well-known thanksgiving text by F. S. Pierpoint. Also available in versions for SA and TTBB voices. Written for Children's International Voices, this delightfully uplifting piece will appeal to children's choirs everywhere. A highly singable melody alternates between unison and two parts, and the words, written by the composer, are full of excited optimism for the future. Rutter skilfully combines a flowing character with a strong rhythmic pulse, and the piano accompaniment provides harmonic support throughout. For children's choir and piano. 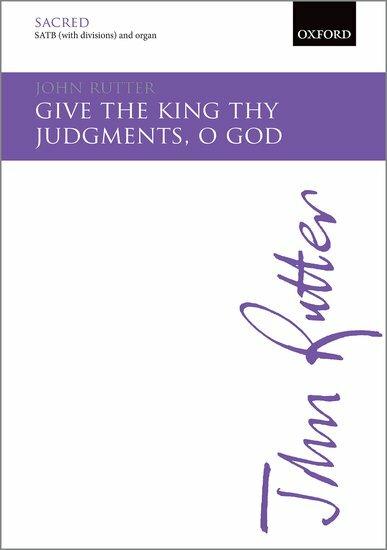 The second of two Rutter anthems celebrating the 800th anniversary of Magna Carta, Give the king thy judgments, O God is a ceremonial work that draws upon the Book of Psalms alongside text written by the composer to create a suitably festive piece. Although the prevailing mood is jubilant, the closing pages provide a prayerful moment as Orlando Gibbon's gentle hymn tune Song 1 is interpolated to great effect. This anthem is featured on Rutter's highly-acclaimed CD The Gift of Life. Part of the John Rutter Anniversary Edition, this is a profoundly beautiful setting of one of the earliest English prayers, from the Sarum Primer of 1514. John Rutter's rousing drinking song Good Ale, which was originally published as part of his cycle of six choral settings with small orchestra When Icicles Hang, is full of spirit and character. The Wind in the Willows is now available in this arrangement for separate performance for SATB choir and piano or orchestra. 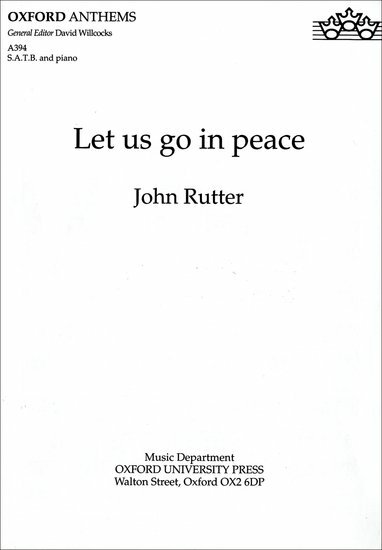 John Rutter wrote this anthem for the dedication of the Herbert Howells memorial window in Gloucester Cathedral in 1992. The first section is full of mystical intensity, and, with its iridescent chromatic harmonies is reminiscent of Howells's own music. After a more lively central section, the finale is ingeniously written and incorporates both the chorale melody and the opening motif. This lovely anthem sets a biblical text to a warm and flowing tune. 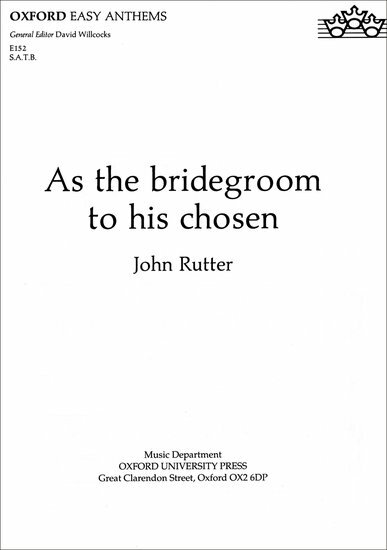 Suitable for use in wedding ceremonies and throughout the church year, this anthem will appeal to all fans of Rutter's music. This anthem is a celebration of life. The adult choir is intended as support for the children's voices and is entirely optional. I my Best-Beloved's am was written in 1999 for a BBC Singers broadcast concert on the theme of the Seven Sacraments. This a cappella anthem focuses on the theme of marriage - setting the nuptial responses from the old Tridentine Catholic marriage service and stanzas from Francis Quarles's poetic paraphrase of the Song of Solomon - but, as the Song of Solomon is often understood as symbolic of the love between Christ and his Church, is also suitable for use throughout the Church year. Gregorian chant is the prevalent musical influence, and the male and female voices are offset against each other in an effective contrast. This tender arrangement of the well-loved Irish folk melody Londonderry Air sets an uplifting poem by Howard Walter: a stirring combination of music and text that was also used at the funeral of Diana, Princess of Wales in 1997. Opening with the melody sung by tutti sopranos, the texture gradually builds to a climatic double choir section as the text celebrates the journey to God's heavenly kingdom. I would be true has been recorded by the Cambridge Singers on the CD This is the Day. This moving and prayerful arrangement of the well-known traditional song was written in memory of Nelson Mandela. Rutter treats the melody in simple yet varied ways, with a mixture of unison and four-part choral textures, into which the organ is gently interwoven. The piece reaches a dynamic and emotional peak in the fourth and final verse, before a quiet and reflective ending. 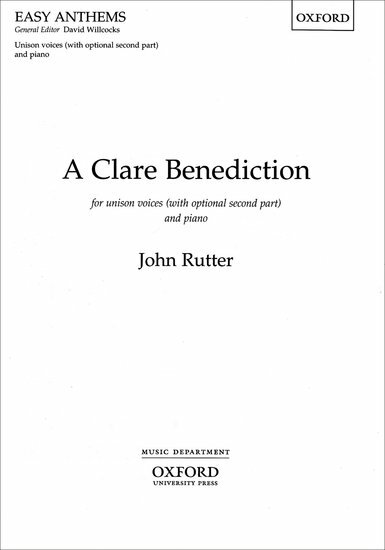 A bright and optimistic benediction contrasting passages of unison writing with homophonic chordal sections. The piece builds to a triumphant conclusion. 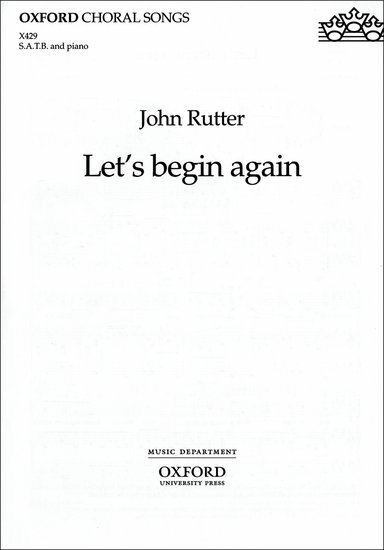 Let's begin again is the finale from John Rutter's 'musical fable' The Reluctant Dragon, and makes a perfect gentle encore or leave-taking piece.